Aoyama Flower Market was born in 1989 in Tokyo's Aoyama neighbourhood. With its concept of Living with Flowers Every Day, the company promotes a lifestyle emphasising well-being through surrounding oneself with flowers and touches of greenery. Since its beginning, around one hundred stores have opened in Japan. Paris welcomed its first store in 2015. 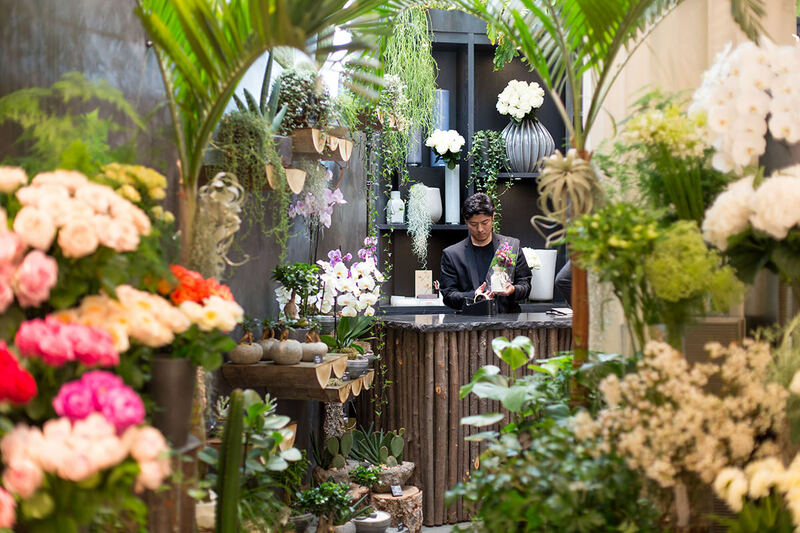 The London store has opened in Selfridges in May 2018, so that Londoners can treat themselves and their loved ones and brighten up their lives with fresh flowers infused with Japanese poetry and creativity. Established flower school division "Hanayu." Established flower arrangement division "Hana Shokunin"
Our flowers are always fresh. And always we make a point of honor to favor the English and local producers. We chose a high quality paper, handcrafted in Japan to highlight the flowers. Flowers speak the language of love or friendship. They can express your thoughts in a universal language! A beautiful paper, wonderful flowers and you: the ideal present! Every day we imagine new compositions inspired by the seasons, the city, nature, all our environment. We are constantly on the lookout for the latest trends. A little bouquet to treat yourself, a beautiful composition to offer to a loved one. All desires and all budgets are matched. Since 1993, we share our passion for flowers with you. And we're only starting!